Studies of the mechanisms leading to the consolidation of memory during sleep. Sleep consists of several phases that form cycles that are repeated several times during the night. These phases are characterized by distinct electrical activity patterns. Certain phases, especially slow wave sleep, allow the consolidation of memory. The strengthening of connections between neurons, called synapses, underlie this consolidation, and thus, learning. Professor Igor Timofeev's research aims to understand how brain activity waves are generated, propagate and contribute to this important reorganization of connections. A better understanding of the dynamics of brainwaves, the factors that influence them and the neurons that participate in them, will thus help to better understand the neurological bases of memory and learning. 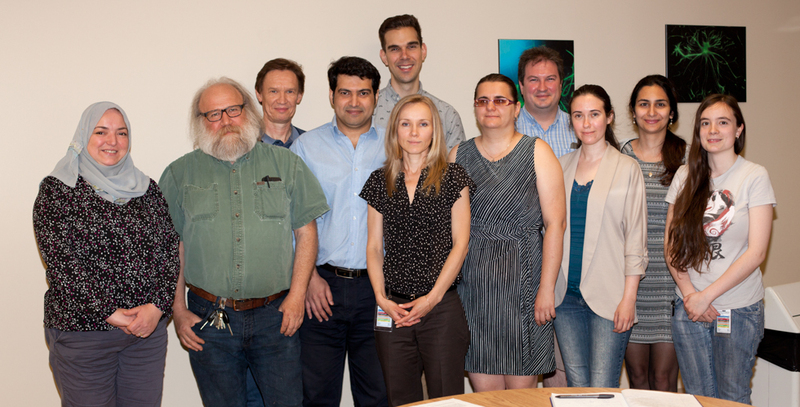 Dr. Timofeev's team is also interested in the physiological bases of states of consciousness. Their research has shown that some neurons in the deep brain regions, the thalamus, help to synchronize the activity of neurons on the surface of the brain, the cortex. These interactions are essential for controlling sleep and waking states. Dr. Timofeev is also interested in the effects of direct damage to the brain, and the process that leads to epileptogenesis, the development of epilepsy. Epilepsy is a dysfunction of the brain that is characterized by excessive and synchronized activity of neurons. Timofeev's studies are aimed at explaining how a brain injury leads to epilepsy to identify intervention targets for preventing epilepsy. Corticothalamic oscillations during sleep and waking behavioral states, from sleep-dependent plasticity to memory consolidation. All animals sleep; but formally speaking the functions of sleep are unknown. Correlative studies indicate that sleep, in particular slow-wave sleep is responsible for memory consolidation. Long-term synaptic plasticity plays a key role in memory. In this project supported by Canadian Institutes of Health Research, we will test a hypothesis that differences in slow-wave sleep activities in different cortical areas would incur different extent of synaptic plasticity. Immediate response to brain damage is a generation of seizure activities. The process between brain damage and the onset of epilepsy is called epileptogenesis. The mechanisms of epileptogenesis are largely unknown and therefore, there are no effective therapies against epileptogenesis. What do we want to do? Basically two things: (1) To describe physiological processes taking place during epileptogenesis and (2) Based on our understanding of changes in the network activity and starting from the moment of the trauma, to stimulate the traumatized cortex aiming to increase excitability and to prevent epileptogenesis. Thalamic gating during sleep oscillations. We are interested in the understanding of physiological basis of conscious states. In this study supported by Natural Science and Engineering Research Council of Canada, we investigate how thalamic neurons from different nuclei contribute to long-range synchronization of cortical activities. Sylvain Chauvette, Sara Soltani, Josée Seigneur, Igor Timofeev. In vivo models of cortical acquired epilepsy. J Neurosci Meth (2016) 260, p. 185-201. Chauvette, S., Seigneur, J., and Timofeev, I. (2012). Sleep Oscillations in the Thalamocortical System Induce Long-Term Neuronal Plasticity. Neuron 75, 1105-1113. (Neuron featured article). Chauvette S, Volgushev M, and Timofeev I. Origin of Active States in Local Neocortical Networks during Slow Sleep Oscillation. Cereb Cortex 20: 2660-2674, 2010. Avramescu S., Timofeev I. (2008) Synaptic strength modulation following cortical trauma: a role in epileptogenesis J Neurosci 28:27, 6760–6772. Volgushev M., Chauvette S., Mukovski M., Timofeev I. (2006) Precise long-range synchronization of activity and silence in neocortical neurons during slow wave sleep. J Neurosci. 26: 21, 5665-5672. Houweling A., Bazhenov A., Timofeev I., Steriade M., Sejnowski T. (2005) Homeostatic synaptic plasticity can explain posttraumatic epileptogenesis. Cereb Cortex, 15: 834-845. Timofeev I., Steriade M. 2004 Neocortical seizures: initiation, development and cessation. Neurosci 123: 299-336. Topolnik L., Steriade M., Timofeev I. (2003) Partial cortical deafferentation promotes development of paroxysmal activity. Cerebral Cortex, 13: 883-893. Steriade M., Timofeev I. (2003) Neuronal plasticity in thalamocortical networks during sleep and waking oscillations. Neuron 2003 Feb 20;37(4):563-76. Steriade M., Timofeev I., Grenier F. 2001 Natural waking and sleep states: a view from inside neocortical cells. J Neurophysiol. 85(5):1969-85. Timofeev I., Grenier F., Steriade M. 2001 Disfacilitation and active inhibition in the neocortex during the natural sleep-wake cycle: an intracellular study. PNAS 98(4): 1924-1929. Igor Timofeev was educated in USSR and received his PhD from Bogomolets Institute of Physiology (Kiev, Ukraine) in 1993. He was employed as Lecturer in the Department of Human and Animals Physiology at Odessa State University (Odessa, Ukraine). From 1994 till 2000 he was postdoctoral fellow in Dr. Mircea Steriade laboratory at Laval University (Quebec, Canada). Since 2000 till now Dr. Timofeev has faculty position in the School of Medicine at Université Laval (Canada). 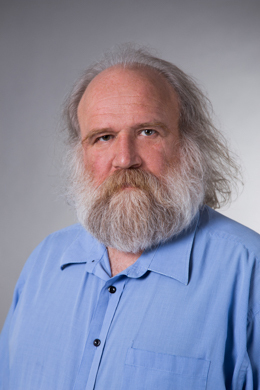 His current research activities are located in the Centre de recherche de l'Institut universitaire en santé mentale de Québec (CRIUSMQ). His laboratory investigates cellular mechanisms of sleep and epilepsy within thalamocortical system. Awards: 1996-1997 Postdoctorate scholarship. Savoy Foundation for Epilepsy. 1997-1998 Postdoctorate scholarship. Savoy Foundation for Epilepsy. 2005 – Certificate d’appréciation (Fonde de la Recherche en Santé, Québec). 2006 – Prix d'excellence Jacques-Leblanc/ACCEM, Meilleur Directeur de Recherche. (Price Jacques Leblanc/ACCME, Best Director of Research (School of Medicine, Laval University) (first nomination). 2009 – Program of European Neuroscience Societies (PENS). Program: Training in Sleep research and sleep Medicine.